Mix jowar flour, wheat flour and salt. Make a soft dough using warm water. Finally add oil and keep covered for 10 minutes. In a bowl add sesame powder, jaggery and cardamom powder. Mix well. Divide the dough into 8 to 10 equal parts and roll a small roti. Apply a drop of oil and spread. Add 2 heaped tablespoons of sesame filling and cover by gathering the sides of the roti and roll again into a big roti. Cook both sides of the roti on a heated tawa on medium heat using oil/ghee. While kneading dough, add water at regular intervals preferably using a tablespoon. 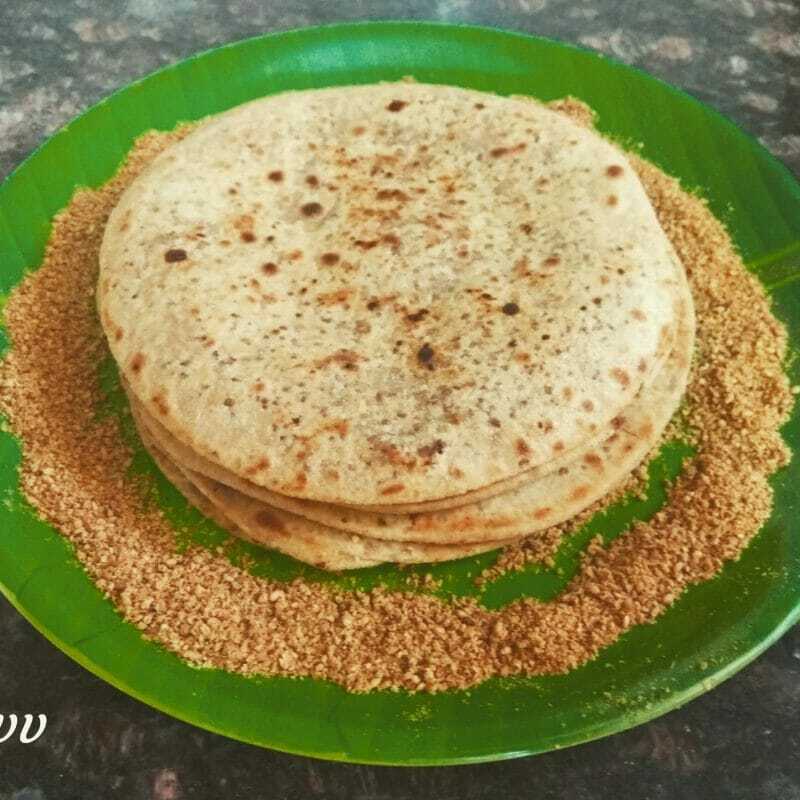 Any other millet flour can be used instead of jowar flour.